My lease is ending and the Shawnee location will end by June 15th. So what will happen to all the class stuff???? You can take it home!!! It's a BIG SALE ! All sales are final and can be paid with Cash, Check or major credit cards. All items must be removed before the end of the sale on the 6th. Lots of things from storage will be added to the classroom sale inventory....a treasure of floral stuff!! wooden book shelving $45 ea. 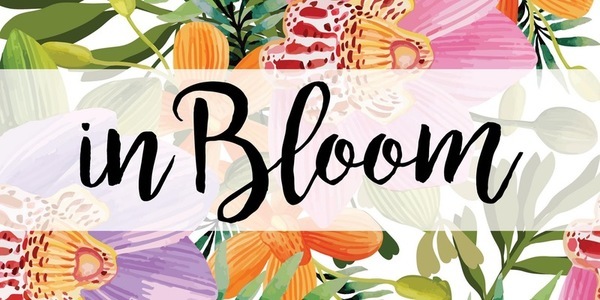 The blog, and Facebook will continue to have fantastic floral information...and after a summer break I will post how to continue a private floral education with me at a new location. 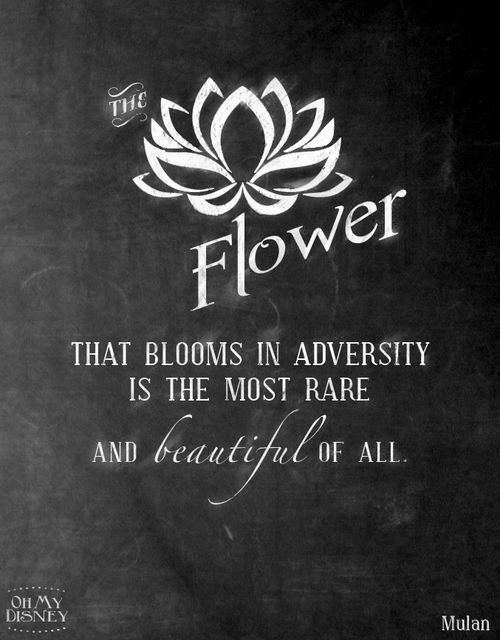 I will always treasure each and every one of you that I have met and shared my floral knowledge with over the past 5 years in the classroom....The ART of floral design is a very rewarding career and a way to enrich the soul.....Always have flowers in your life! Increase Your Profits by Selling These Items! 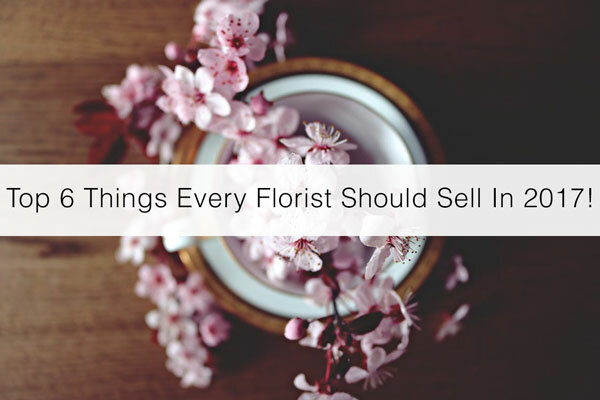 Top 6 Things Every Florist Should Sell In 2017! It surprises us how many florists only sell flowers in their flower shops.This is not to say that only selling flowers is passe´ however, we want to encourage all florists to carry various items with very little or no designing time and long shelf life to boost their retail sale profits. Zinnia, Lisianthus, and Sunflower achieved a vase longevity of 10 to 15 days without the need to recut stems. Zinnia in Express Universal 300 powder (no cut) performed as well as Flower Food Clear 300 powder (cut) with a vase longevity of 12.5 days. 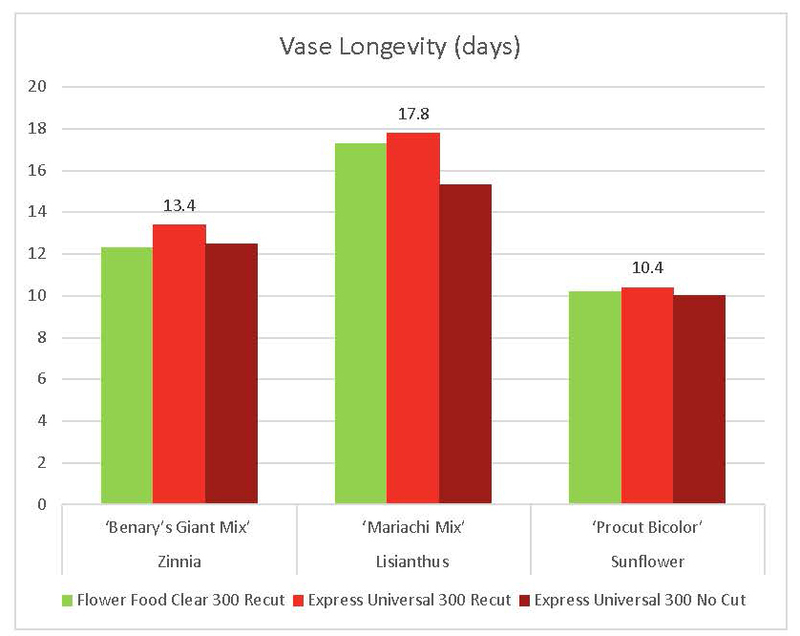 Lisianthus in Express Universal 300 powder (no cut) showed a 2-day reduction in vase longevity compared to Flower Food Clear 300 powder (cut), but still achieved a vase longevity of 15.3 days. 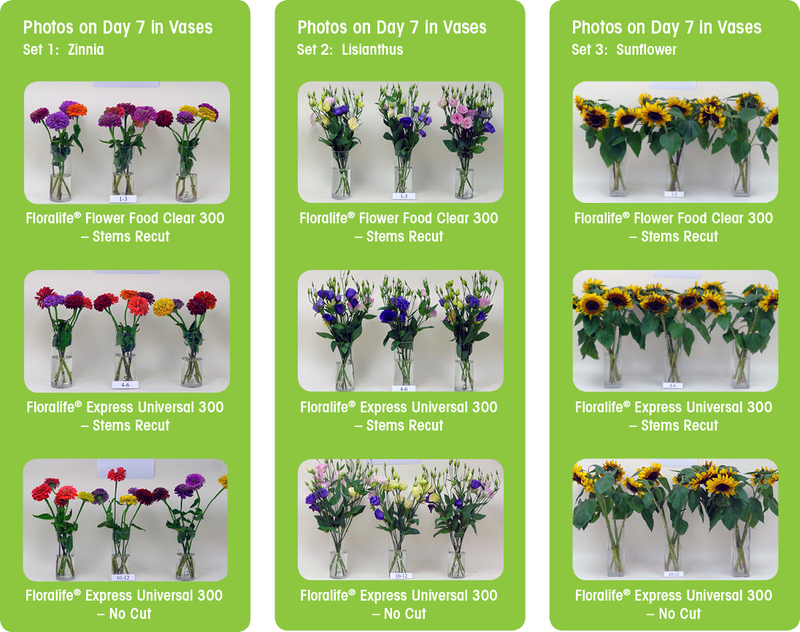 Sunflower achieved a vase longevity of 10 days without the need to recut stems, performing as well as Floralife® Flower Food Clear 300 powder (cut). Copyright © 2017 Floralife, All rights reserved. If you are using #slowflowers in your social media posts, congratulate yourself! If you aren't, then join in -- the numbers don't lie. People are tagging and searching for local flowers with #slowflowers. No other hashtag in our industry has as much influence! And if you haven't joined Slowflowers.com, NOW is the time to do so! 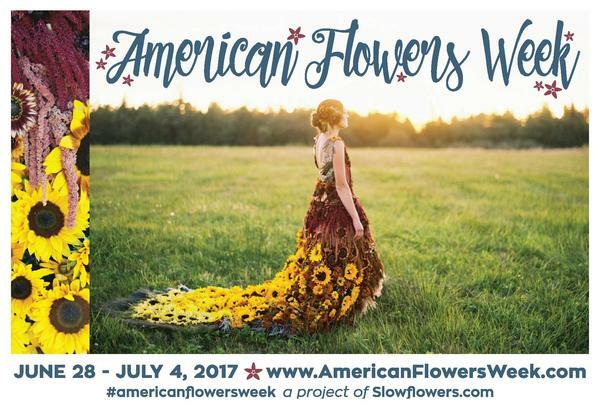 You're the first to see our fab new campaign graphics for American Flowers Week 2017! Isn't it gorgeous? The stunning All-American Sunflower gown represents the best collaboration between flower farmers and floral design -- Seattle designer Amy Kunkel-Patterson of Gather Design Co. (right) created this magnificent wearable gown using more than 500 stems of locally-grown Pacific Northwest sunflowers, rudbeckia, amaranth and ornamental grasses. 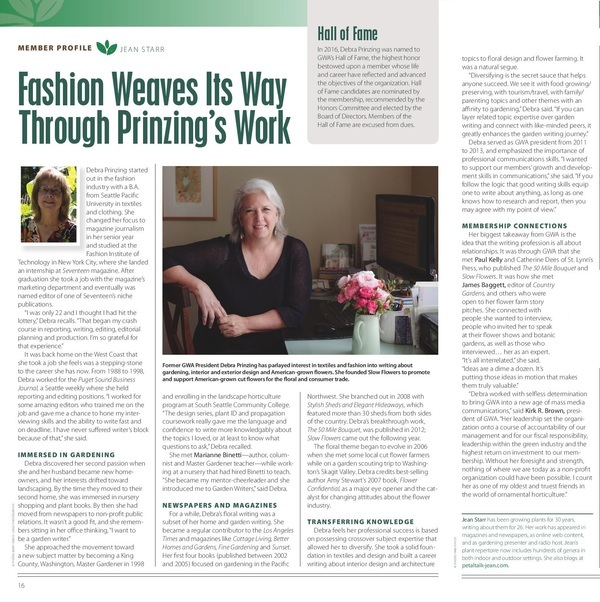 Kelly Uhlig of Sonshine Farm on Whidbey Island, Washington, modeled the luxe botanical gown (see her in the photo above), and Anna Petersphotographed the creation at Vivian Larsen's beautiful Everyday Flowers farm in Stanwood, Washington. 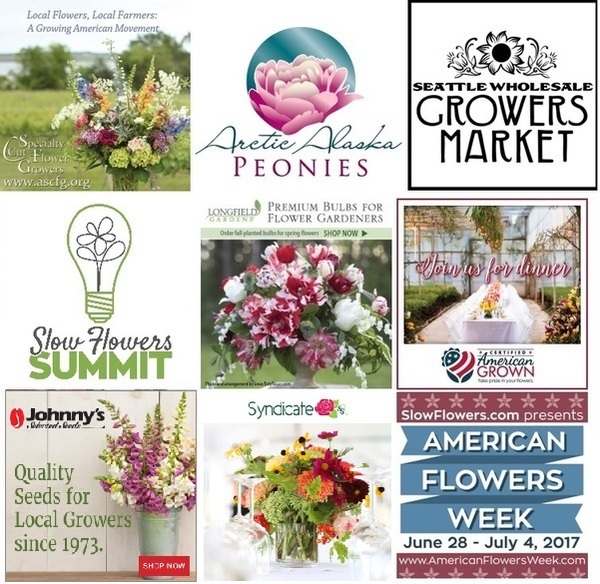 Thank you to everyone involved, and especially to the farmers and staff of the Seattle Wholesale Growers Market for donating the freshest, most beautiful, locally-grown elements for American Flowers Week. In the coming weeks, we'll release more photos and background stories about how this gown came together. Suffice it to say, the lowly sunflower has been elevated to symbolize American Flowers Week. It's an icon! 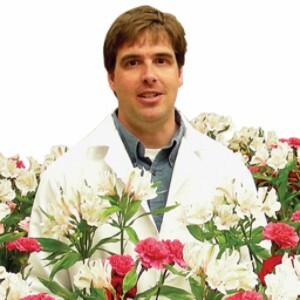 has been called a "TED Talk for Flower Lovers." 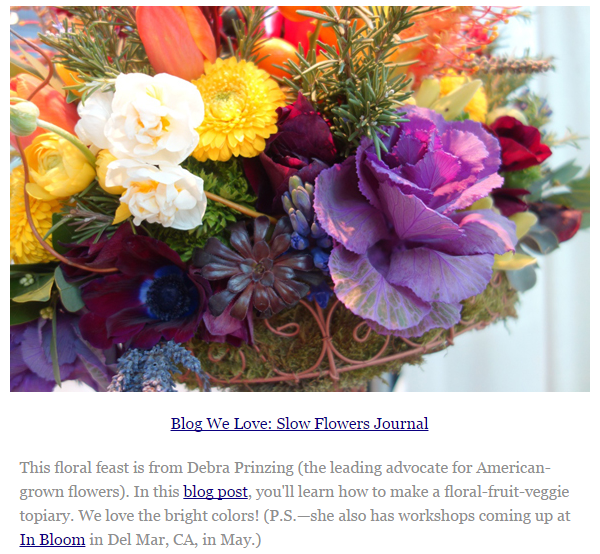 Developed and produced by Debra Prinzing and Slow Flowers LLC, this one-day event is designed to celebrate AMERICAN FLOWERS WEEK (June 28-July 4, 2017) and bring together creatives, thought leaders and change agents with a lecture series featuring leading voices in the progressive American-grown floral community. Future interviews with our other speakers and panelists are in the works! Watch for news about them soon! 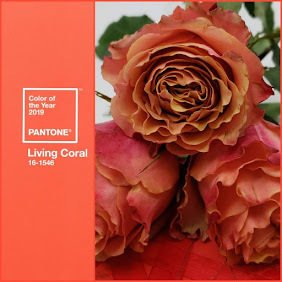 SL: About a year and a half ago, I had a wedding that needed a particular shade of blue ribbon and I couldn’t find anything that worked – all I was finding were really artificial-looking satins that clashed horribly with the flowers and greens. I think I was searching online and I came across a blog in which the author was experimenting with making a pretty blue dye from black beans (believe it or not!). She had step by step directions, so I thought I’d give it a try.. and I was immediately hooked. The process was so satisfying – it reminded me somewhat of developing a photograph, in that the colour changed as it dried, or of painting (my first love). Then I just couldn’t stop playing with colours and trying to figure out what else I could use. 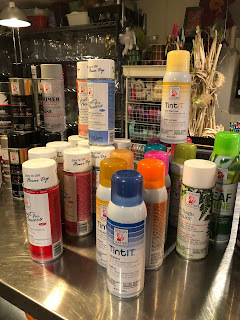 I made LOTS of mistakes, of course – lots of horrid browns – but every time I happened across something new and lovely it felt like a personal discovery and I still can’t get enough of it. I love how some of colours marble and seem to capture that moment in time, rather like a watercolour painting, and working with silk is just very deeply satisfying to me. 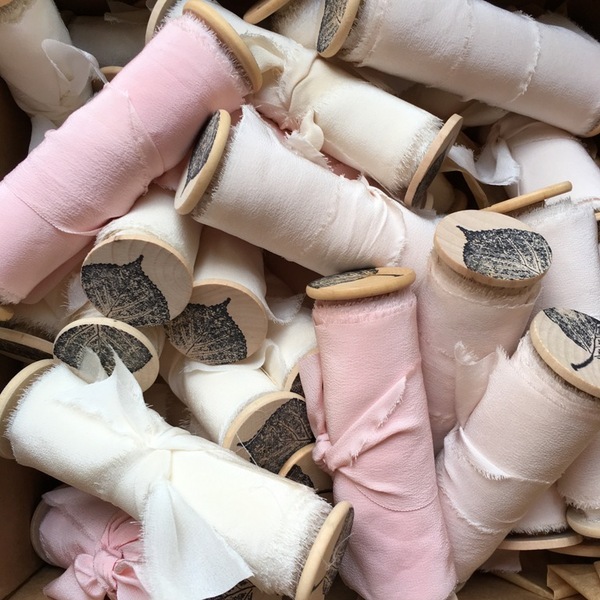 I love making something beautiful by hand, wrapping it up like a gift and sending it off around the world. Debra Prinzing will teach two workshops geared toward DIY projects from the garden, including wearable floral crowns and succulent jewelry. More details and preregistration can be found here. Thursday, June 22, 7-9 p.m.
Phipps Conservatory welcomes a Slow Flowers workshop to its popular floral design certificate program. Debra Prinzing will present: "American Beauty: Slow Flowers, Seasonal Floral Design and Eco-Friendly Techniques" The workshop includes a short lecture, followed by a demonstration and hands-on eco-design workshop. More details can be found here. Destiny Hill Flower Farm, a Slowflowers.com member, presents its popular Lavender Festival, complete with workshops, gardening vendors, food and fun. Debra will present "Blooming Beauty: Tips, Tricks and Ideas for the DIY Floral Designer." More details can be found here. 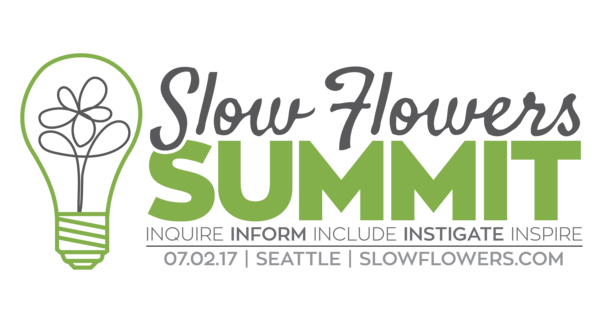 The Slow Flowers Summit brings together thinkers and doers in the progressive floral community, with inspiring and engaging speakers, panels, demonstrations and interactive design.Tickets & details here. 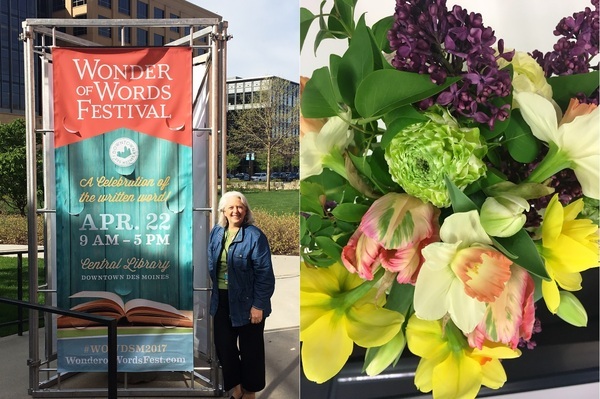 The Slow Flowers story went to Des Moines, Iowa, in April, hosted by the Wonder of Words Festival at the downtown Des Moines Public Library. It was so fitting that I spoke about locally-grown flowers and the Slow Flowers Movement on Earth Day! Special thanks to Meredith Corp., publishers of Better Homes & Gardens and Country Gardens, for sponsoring my presentation. And a HUGE BOUQUET OF THANKS to Slow Flowers Members Jennifer and Adam O'Neal of PepperHarrow Farm in Winterset, Iowa, for sharing their flowers at my presentation. I loved having their presence and their support! 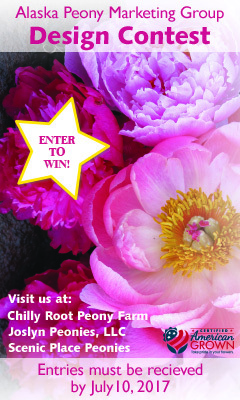 $350 toward fresh Alaska-grown peonies in 2018, free Slowflowers.com directory listing & 1-year subscription to Florists' Review. Three Slowflowers.com member farms are featured in a "Slow Flowers" article that appears in the current issue of SOUTHERN FARM & GARDEN magazine, "a high quality agricultural lifestyle journal." Jonathan and Megan Leiss of Spring Forth Farm in Hurdle Mills, N.C. (thanks, Jonathan & Megan for introducing the magazine's co-founders Nancy Suttles and Abby Jackson to Slow Flowers! ); Evelyn Lee of Butternut Gardens in Southport, Conn.; and Mandy and Steve O'Shea of 3 Porch Farm in Comer, GA. 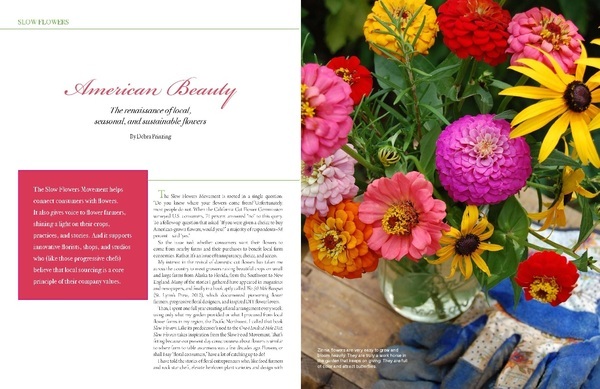 The beautifully illustrated story, "American Beauty: The Renaissance of Local, Seasonal and Sustainable Flowers," introduces each of these three farms, the story of "Slow Flowers" and the unique philosophy of each farm. 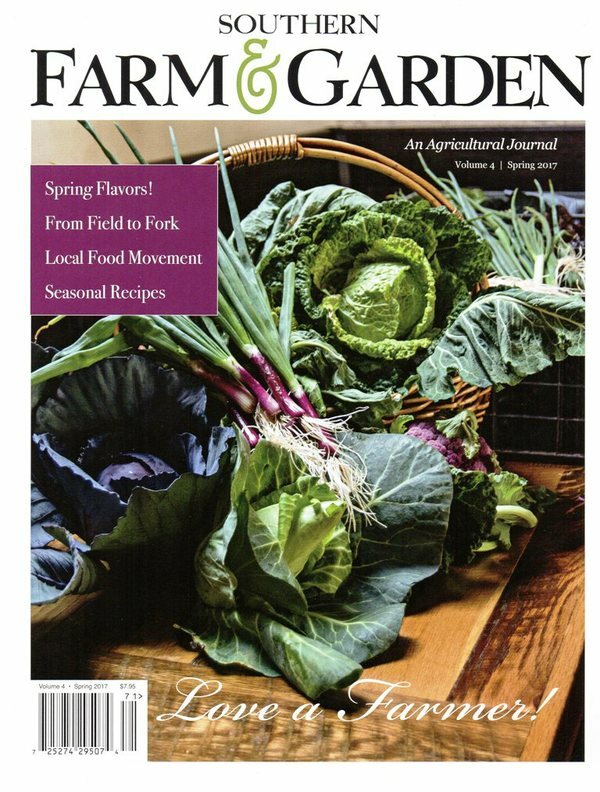 Southern Farm & Garden is a relatively new publication that is eager for more stories from flower farmers, so get in touch if you're interested in partnering with us on future articles. Here's how to subscribe. 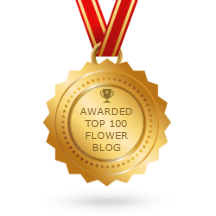 Along with all sorts of fantastic flower blogs -- including those published by fellow Slowflowers.com members -- we're thrilled to be part of this comprehensive list. 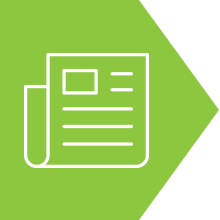 Feedspot Founder Anuj Agarwal told us that the blog list was compiled by evaluating SEO ranking, social media influence, social media buzz, Alexa ranking, post frequency a quality score assigned by his editorial team. Pretty Cool! 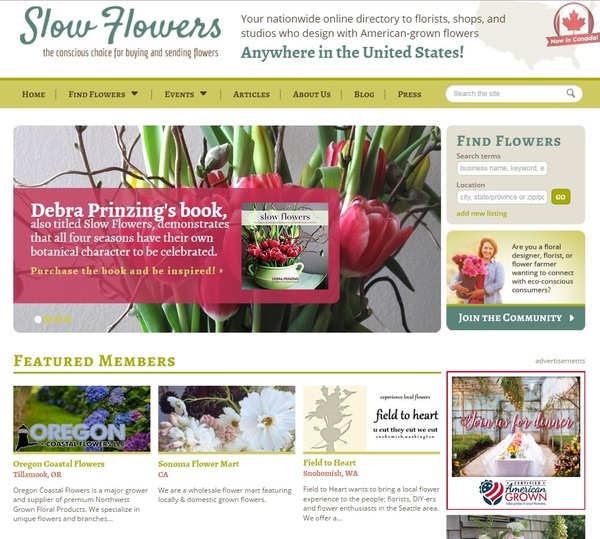 Quill & Trowel, the membership publication for GWA: The Association for Garden Communicators, recently profiled Slow Flowers founder Debra Prinzing. 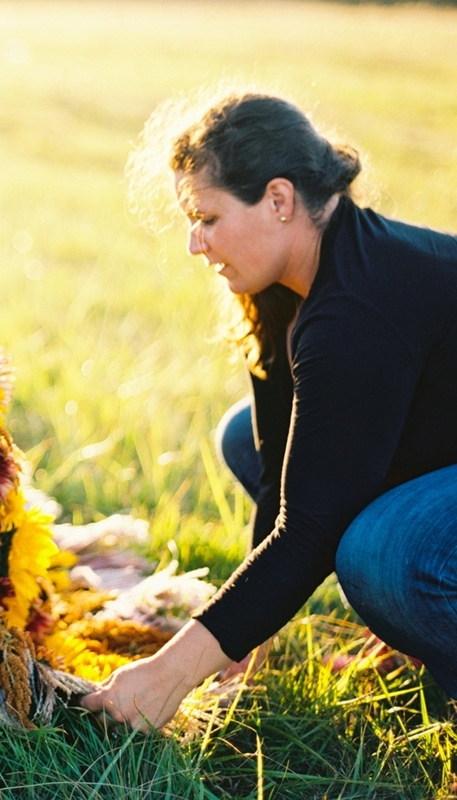 She diescusses the professional and horticultural path that led her to writing, speaking about and advocating for America's flower farmers and florists. Click below to read the entire piece, authored by Jean Starr. 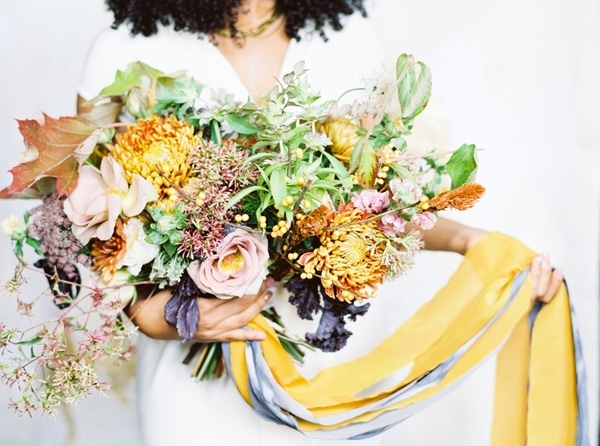 Episode 292 (April 12): From trial lawyer to floral artist and entrepreneur — Meet Amy Kunkel-Patterson of Gather Design Co.
March welcomed the following new members -- flower farmers, florists and farmer-florists -- to Slowflowers.com! You'll want to follow and connect with them on social media. Introduce yourself! We announced details about the 2017 Census of Agriculture during the Slow Flowers Podcast #293 (April 19) but you my have missed it. So Take Note! Every five years the USDA – that’s the US Department of Agriculture – conducts a Census, a complete count of farms and ranches, and the people who operate them, all across the country. 2017 is an Ag Census year. 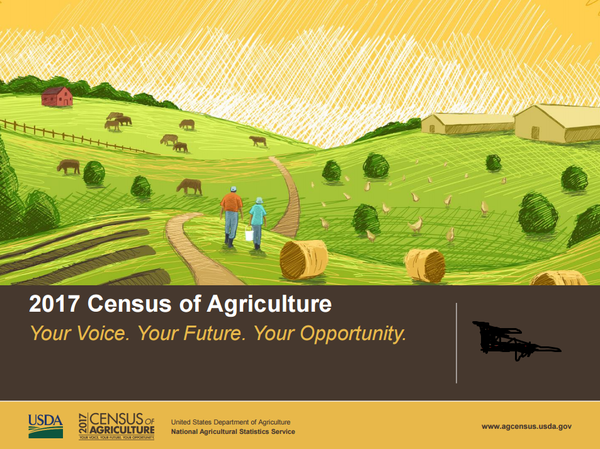 Producers who are new to farming or who did not receive a Census of Agriculture in 2012 still have time to sign up to receive the 2017 form by visiting www.agcensus.usda.gov and clicking on the ‘Make Sure You Are Counted’ button through June. USDA defines a farm as any place from which at least $1,000 of agricultural products were produced and sold, or normally would have been sold, during the census year — and that means unless you’re a hobby grower like me, you should be counted!